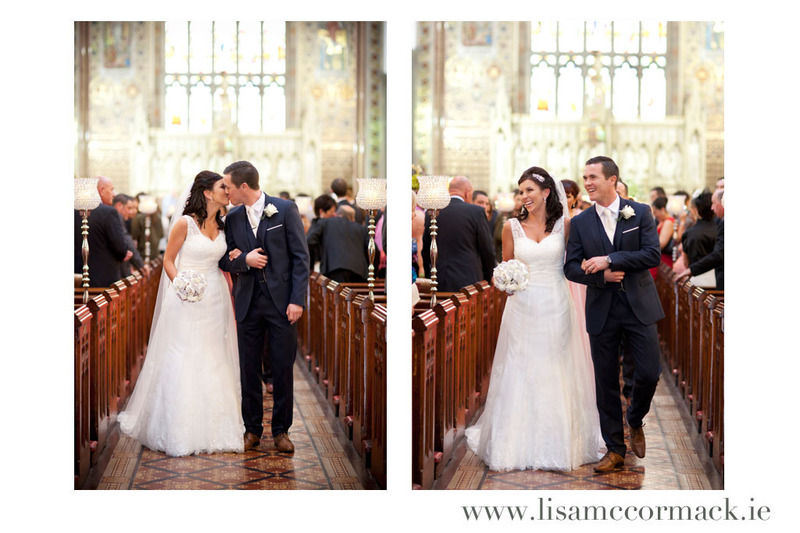 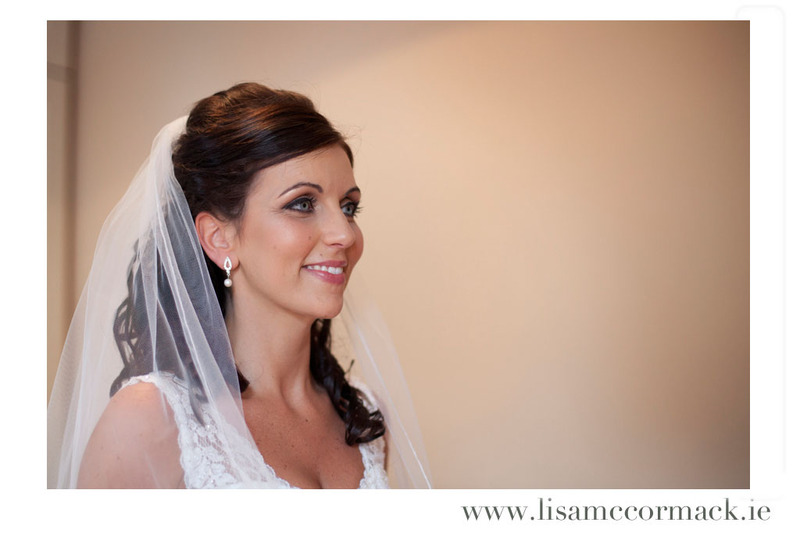 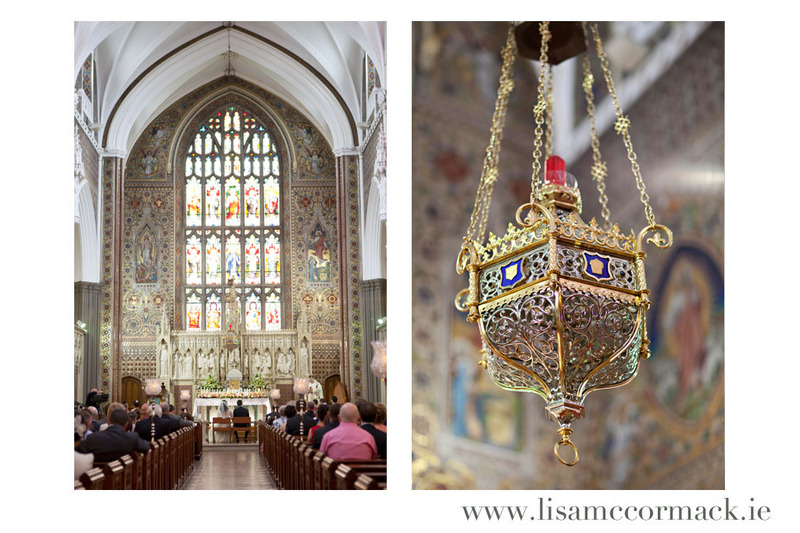 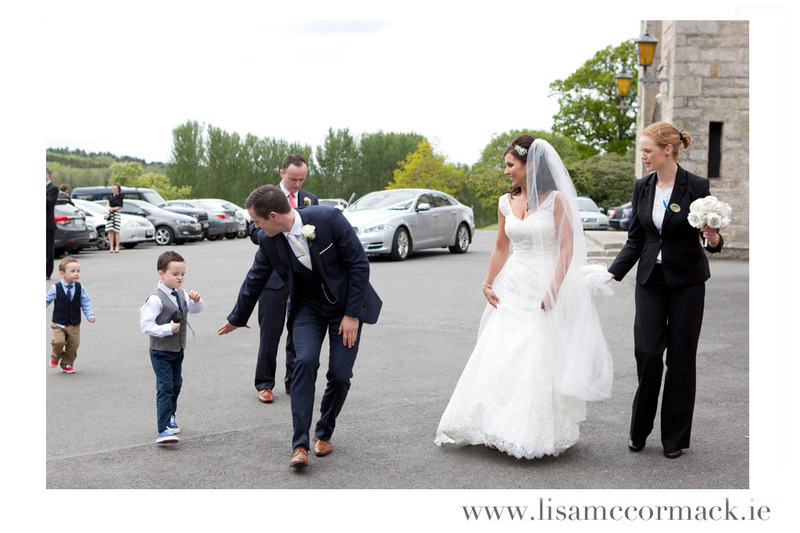 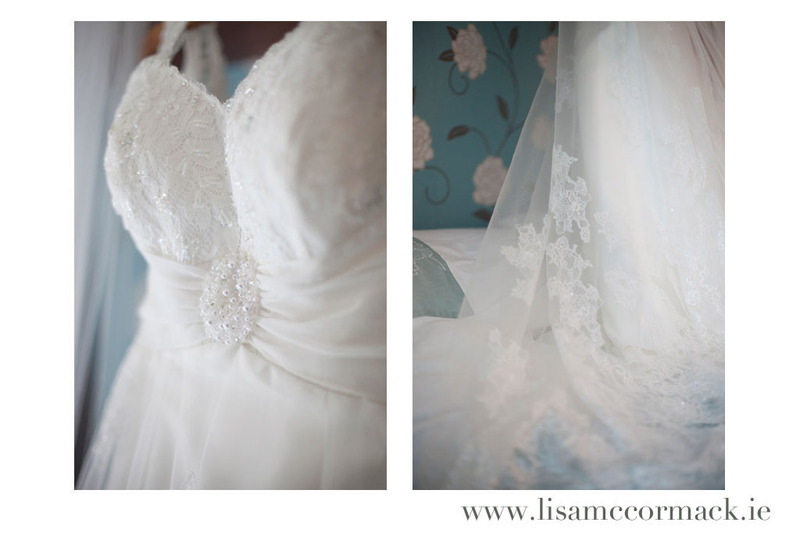 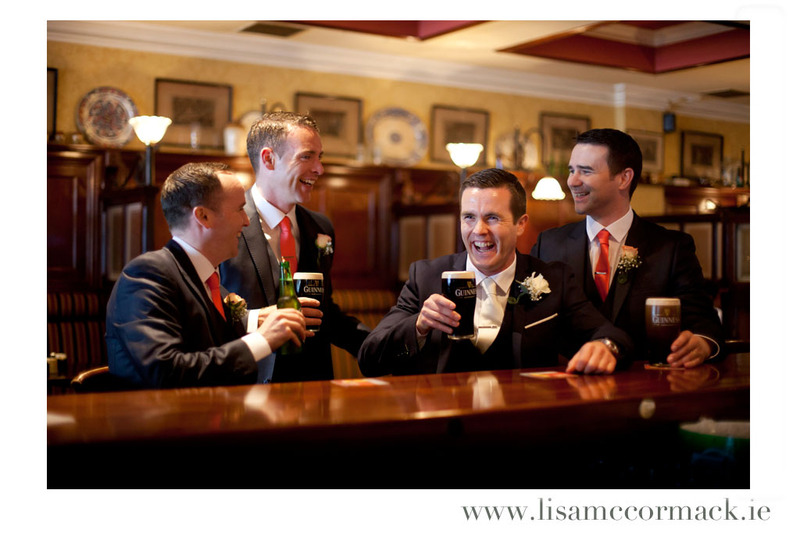 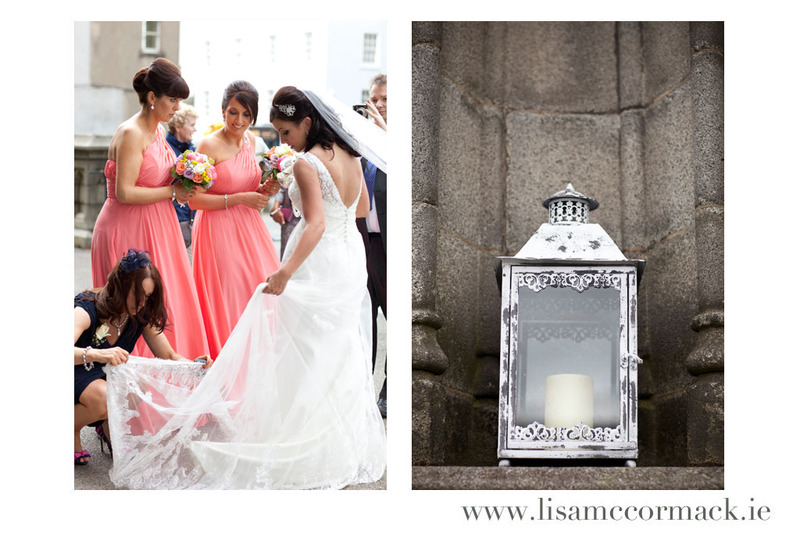 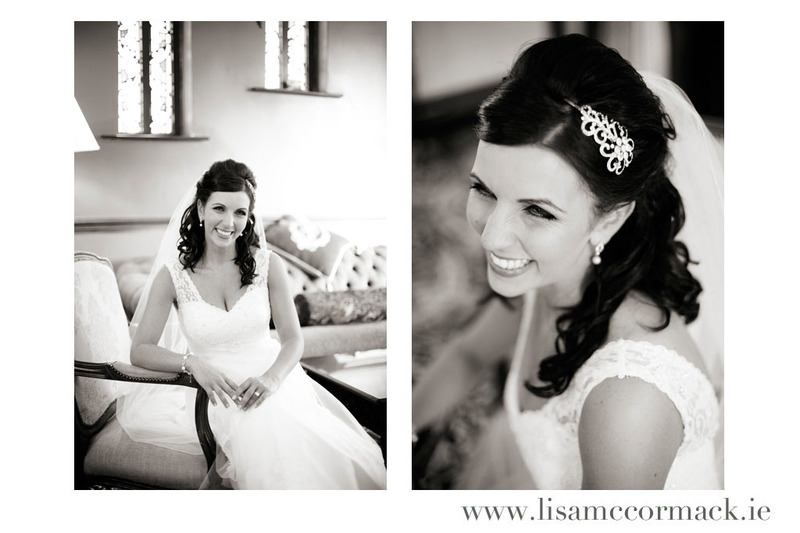 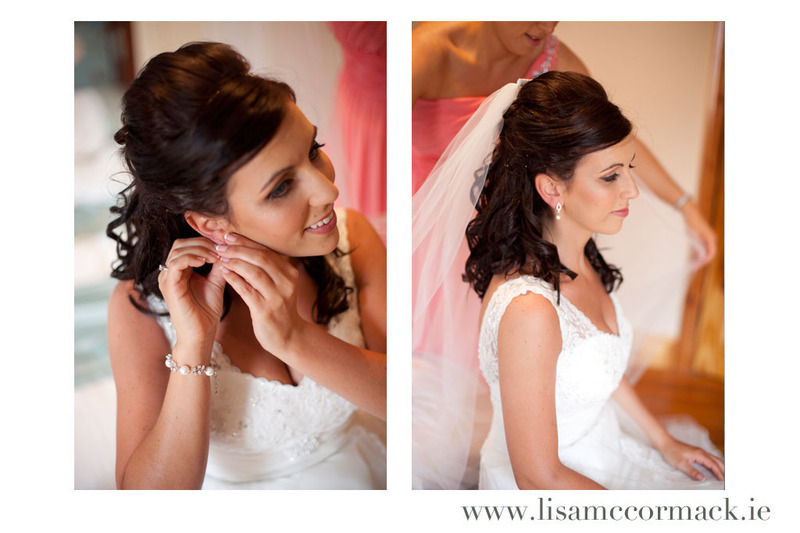 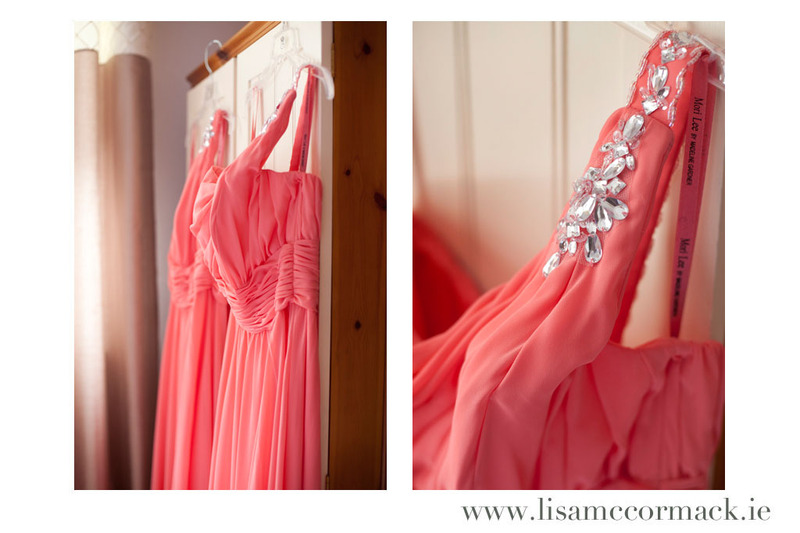 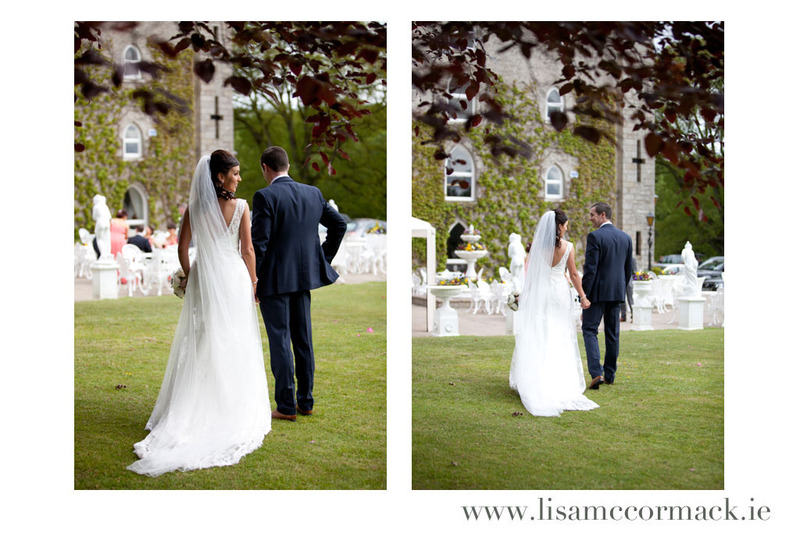 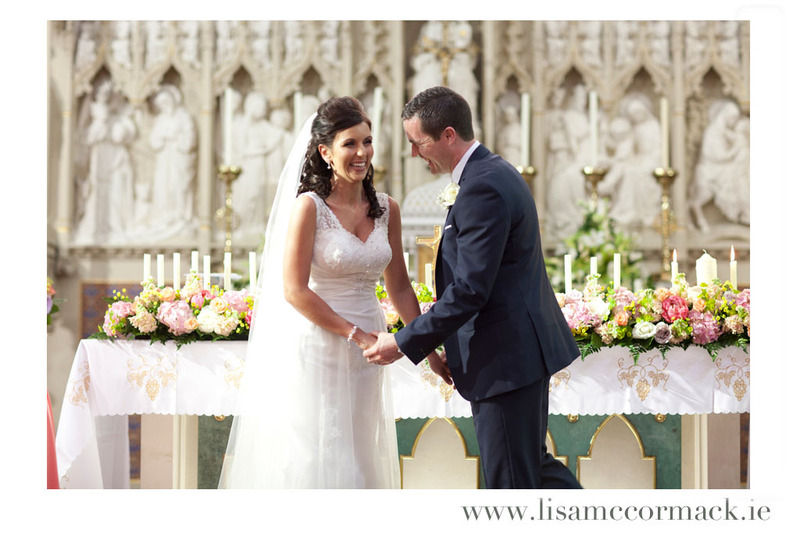 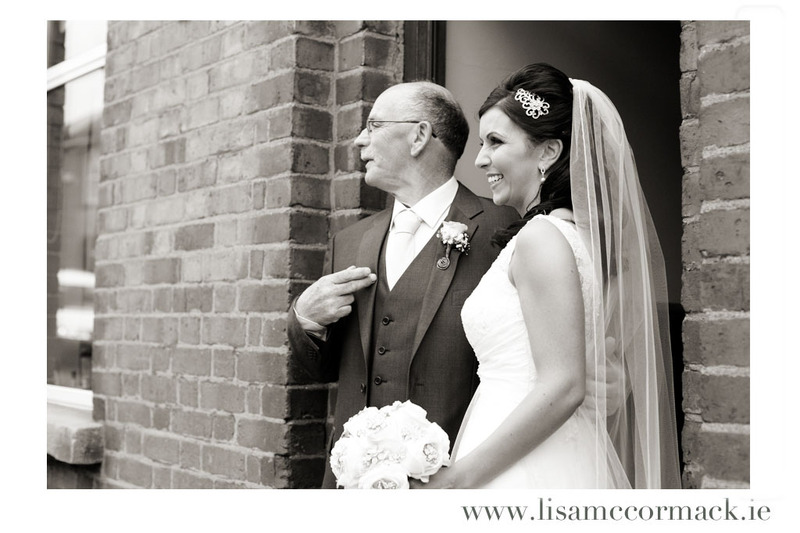 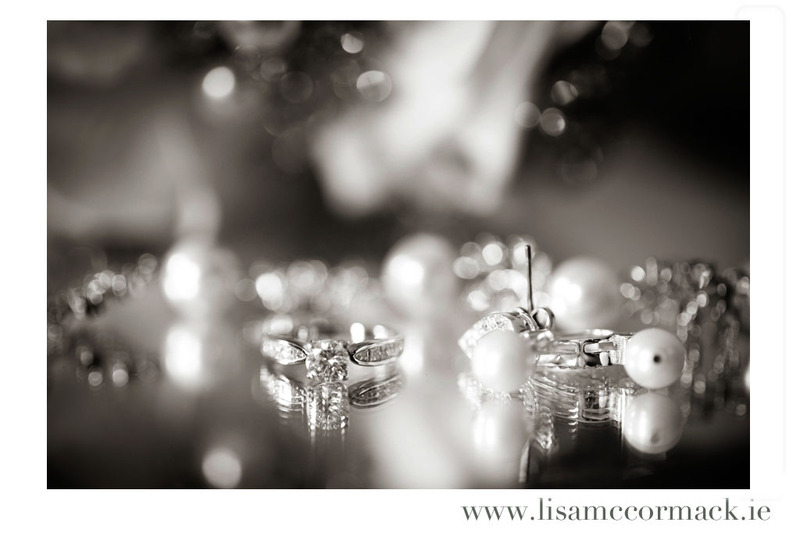 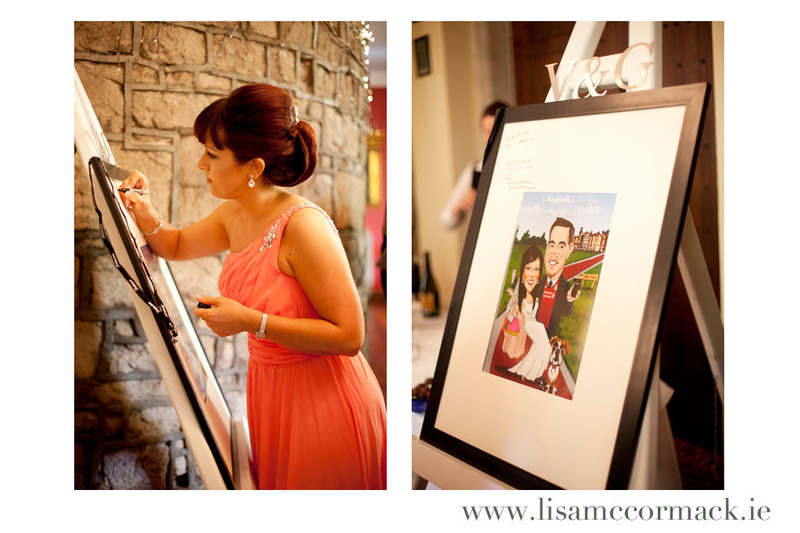 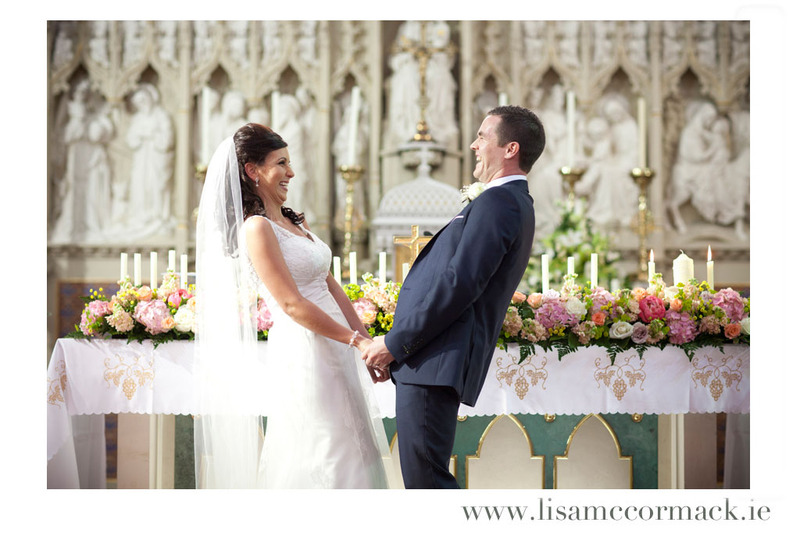 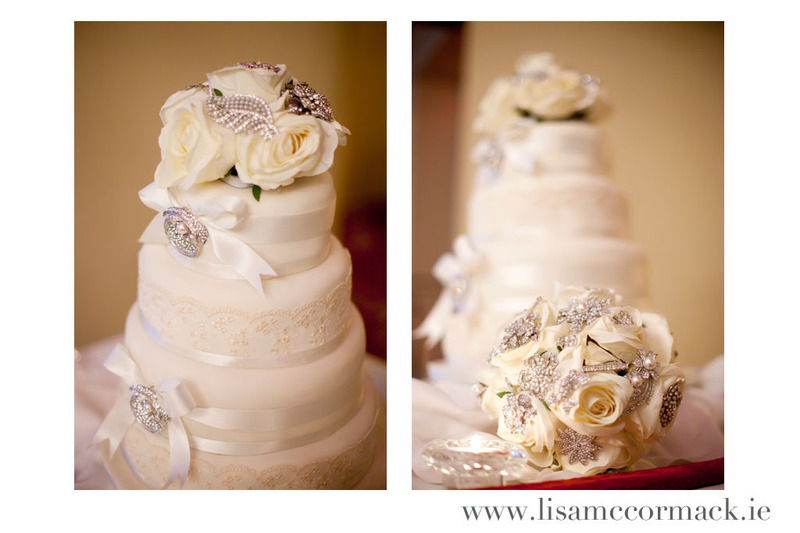 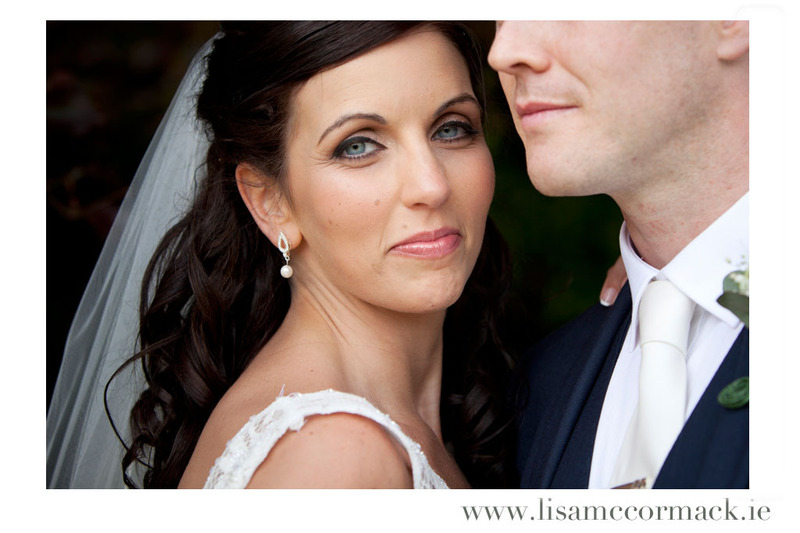 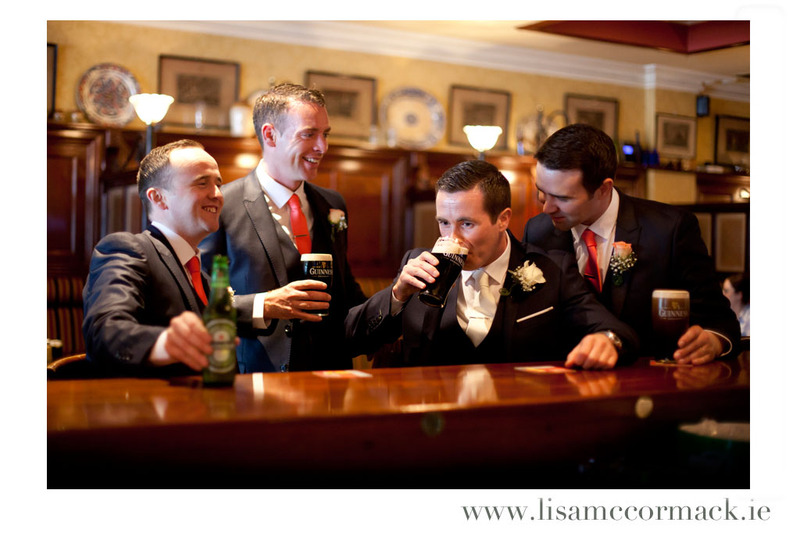 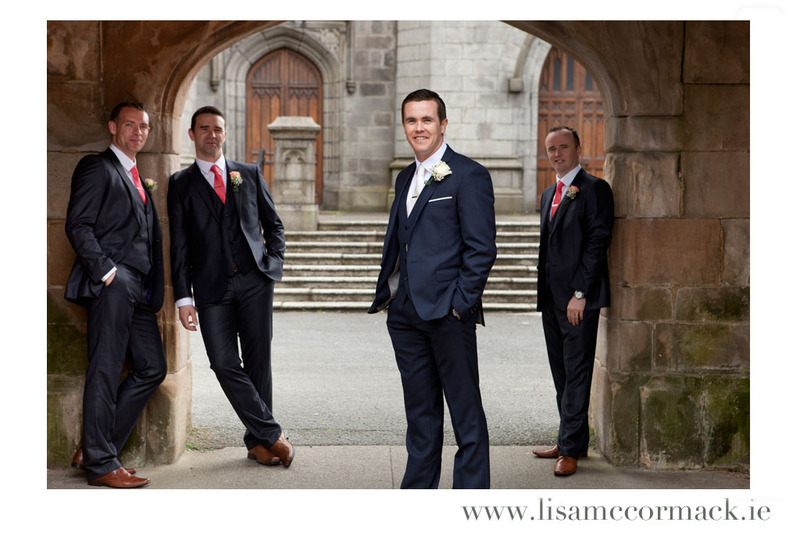 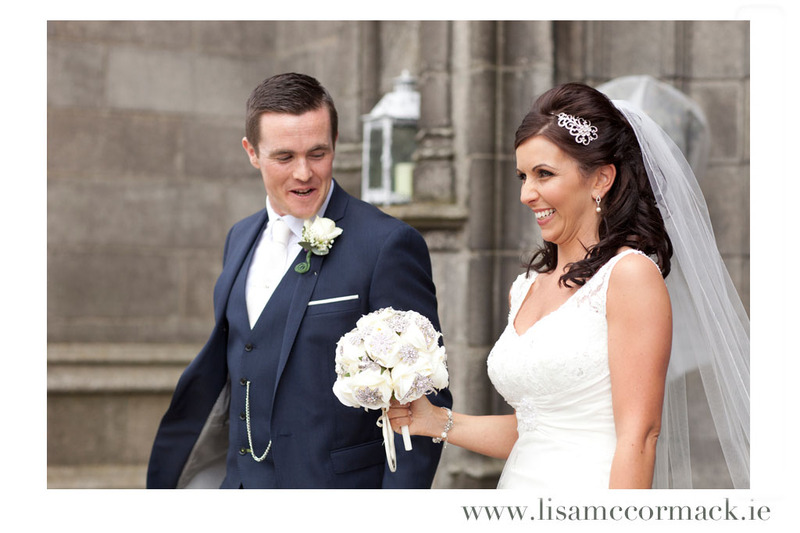 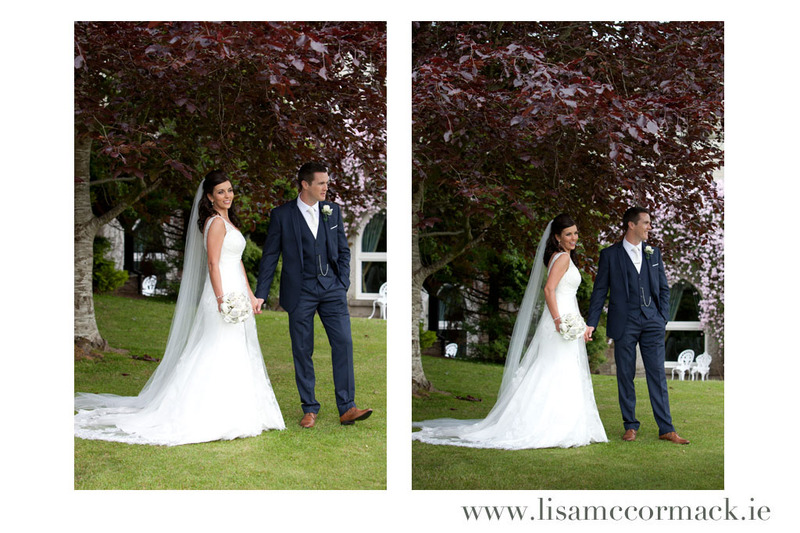 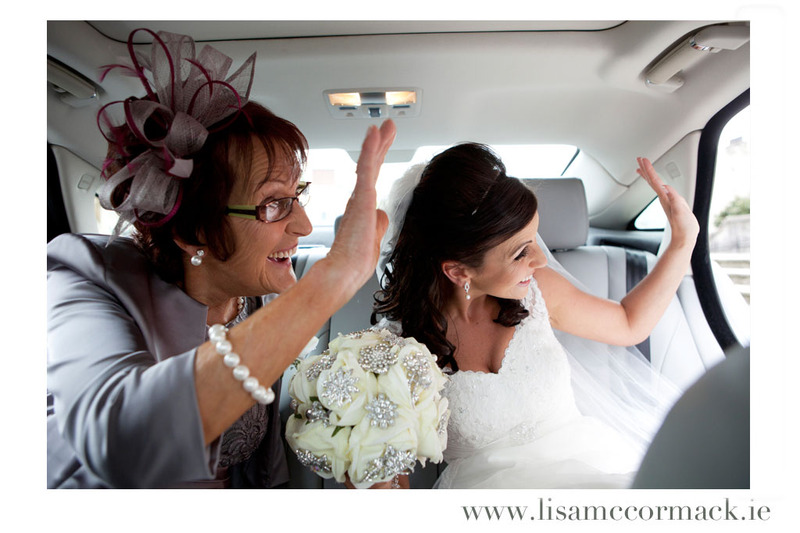 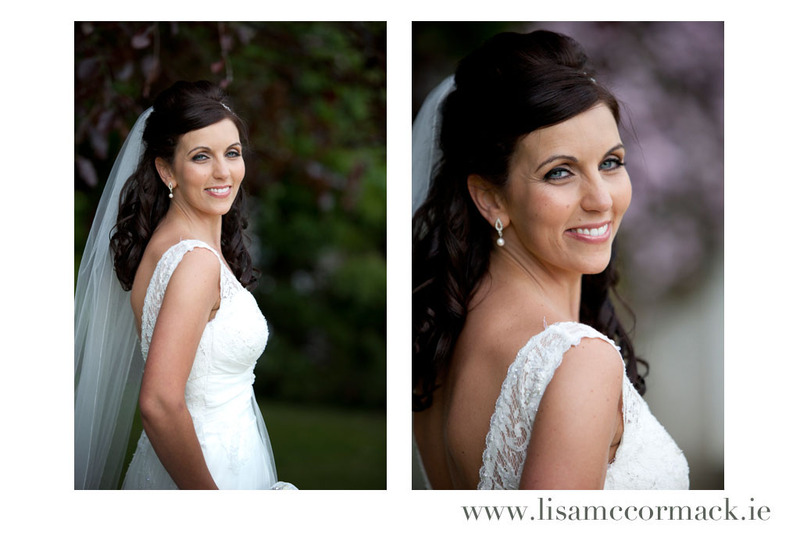 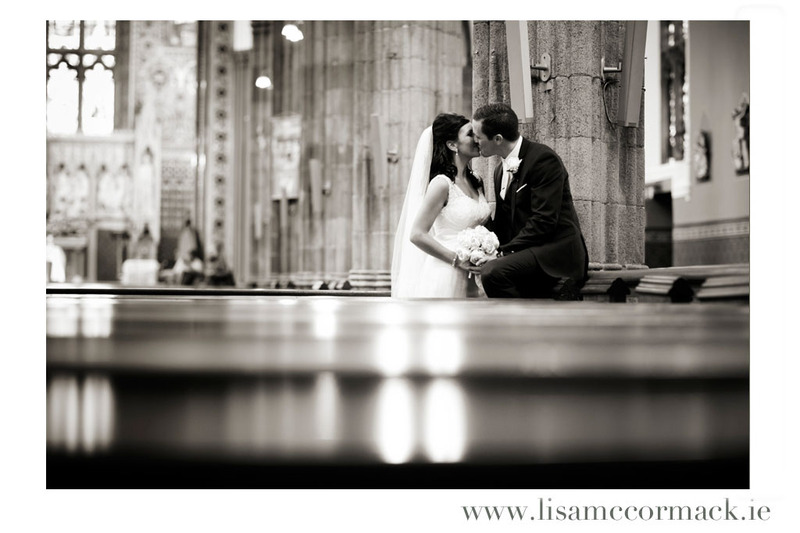 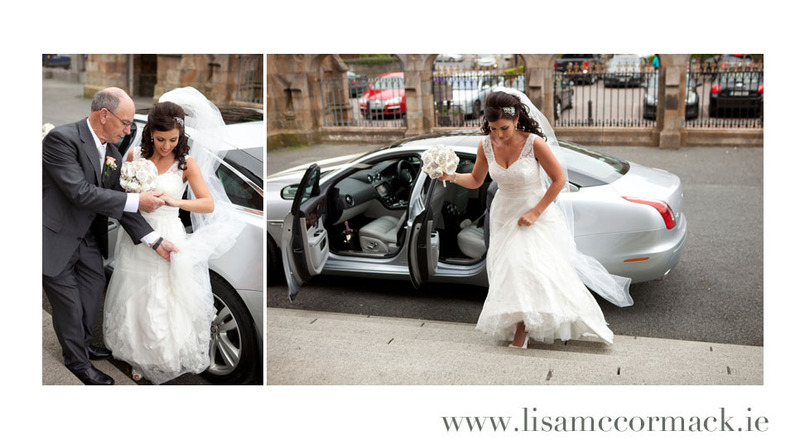 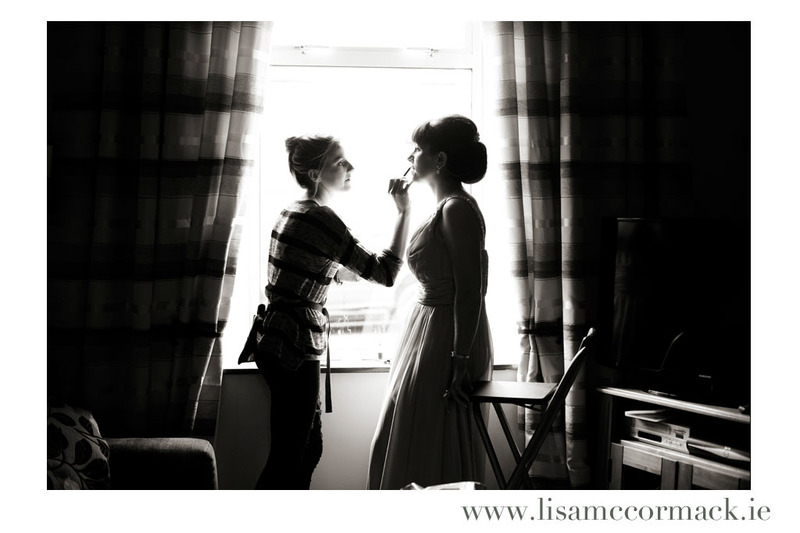 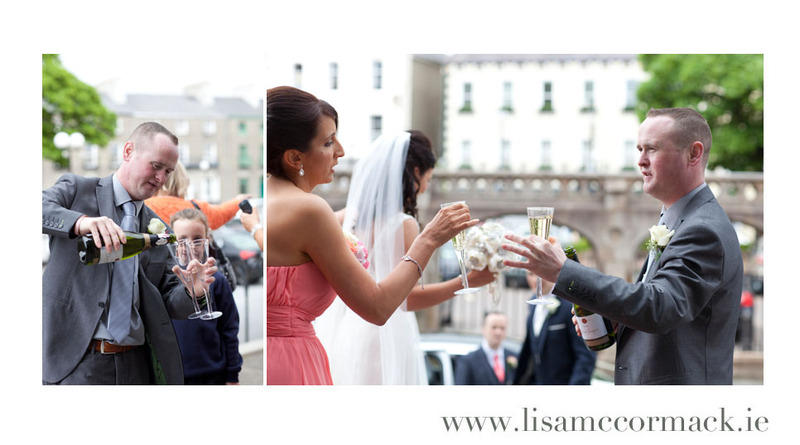 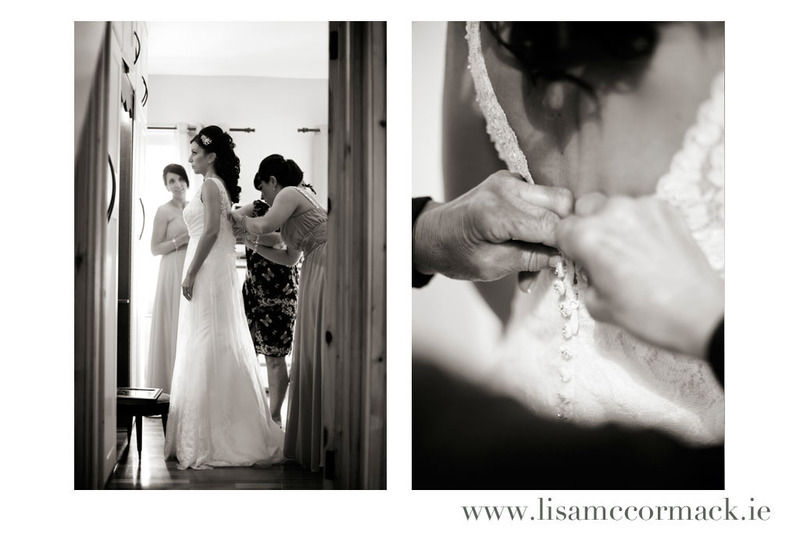 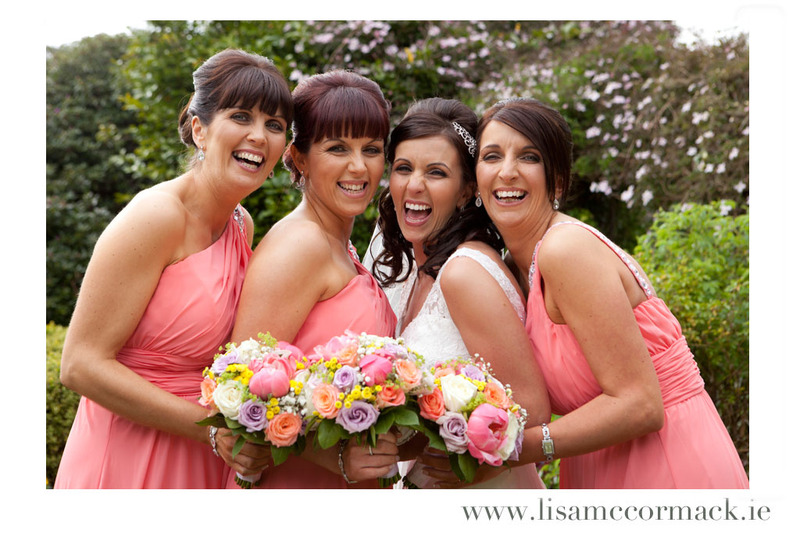 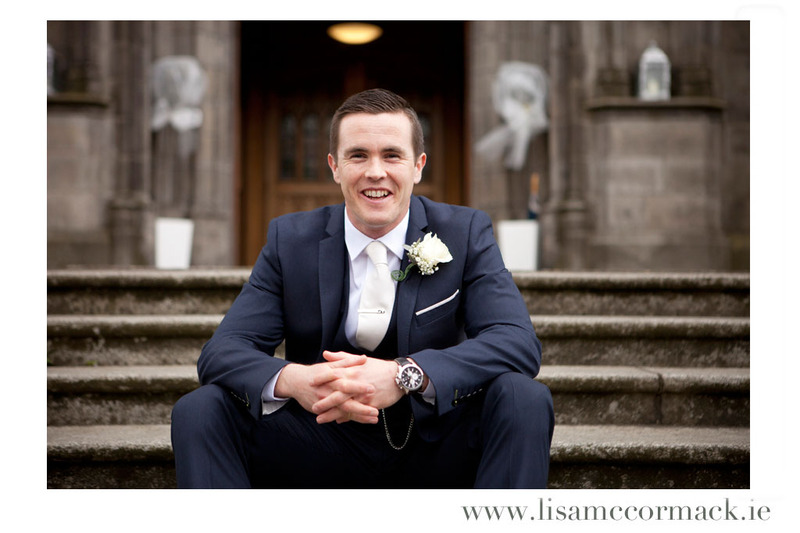 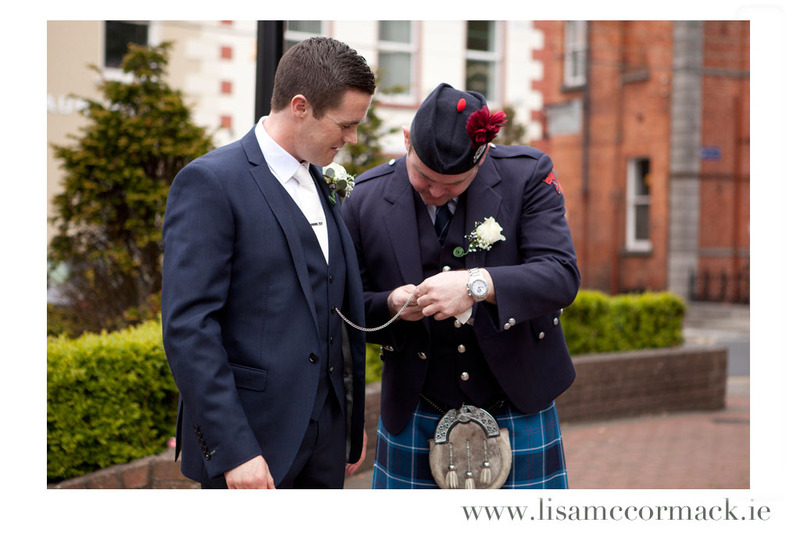 Back when the days were long and sunny I had the absolute pleasure of working with Vicki & Gavin on their wedding day. 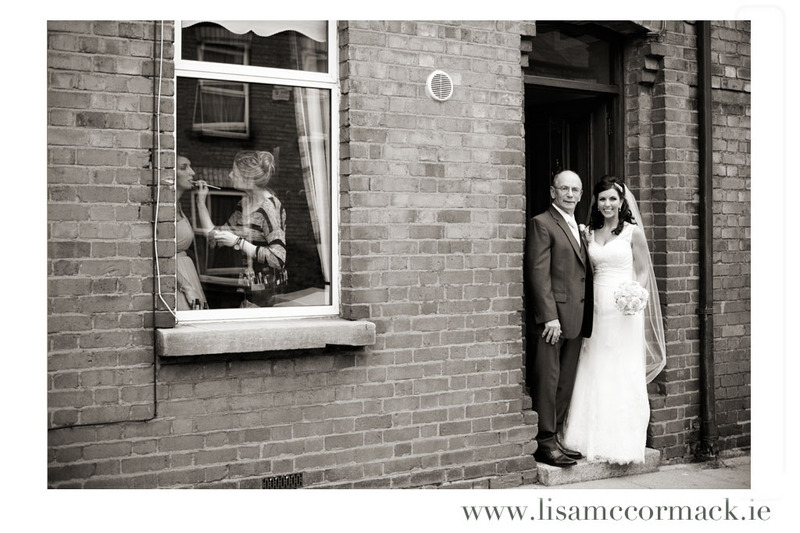 When Vicki was giving me directions to her parents house she described it as the house with the front door wide open so once I got to the street it was easy to find. 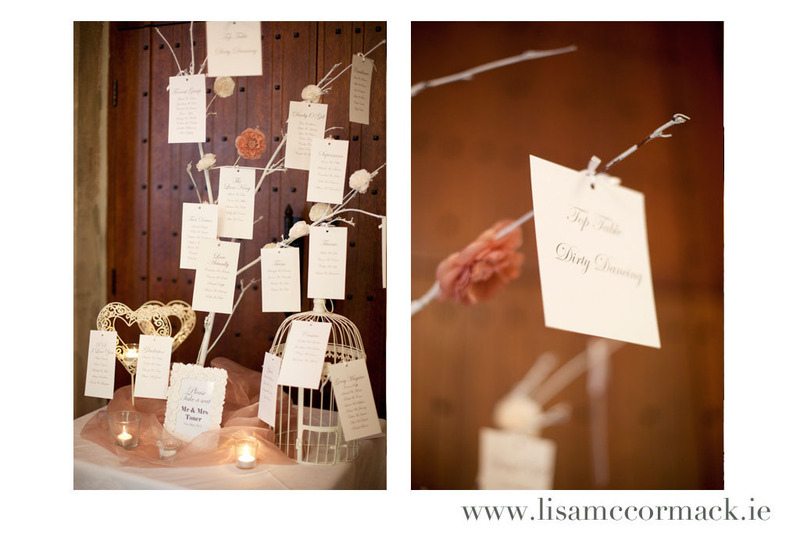 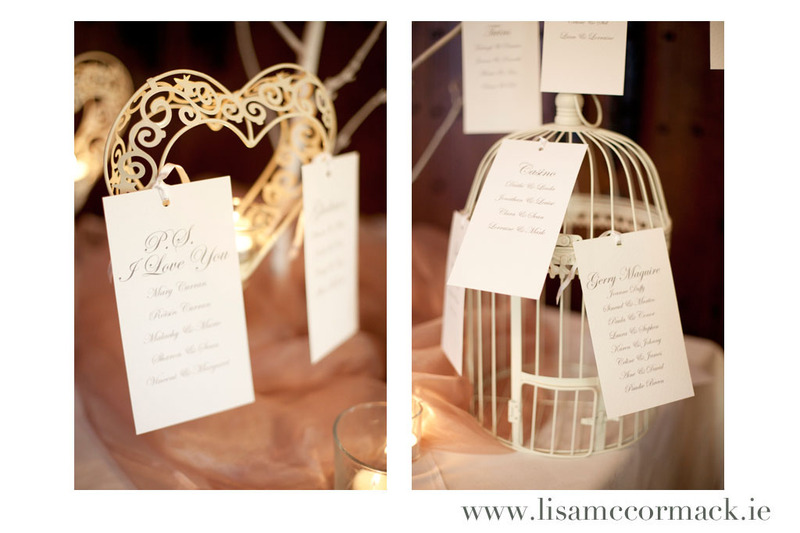 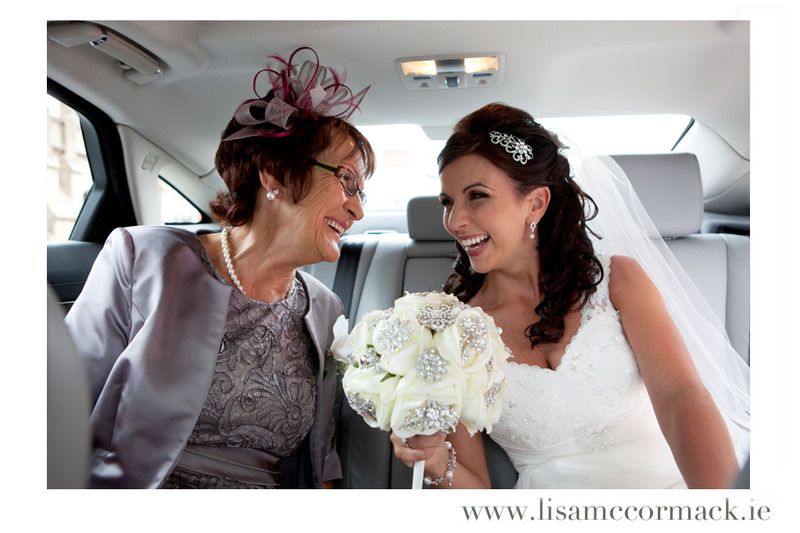 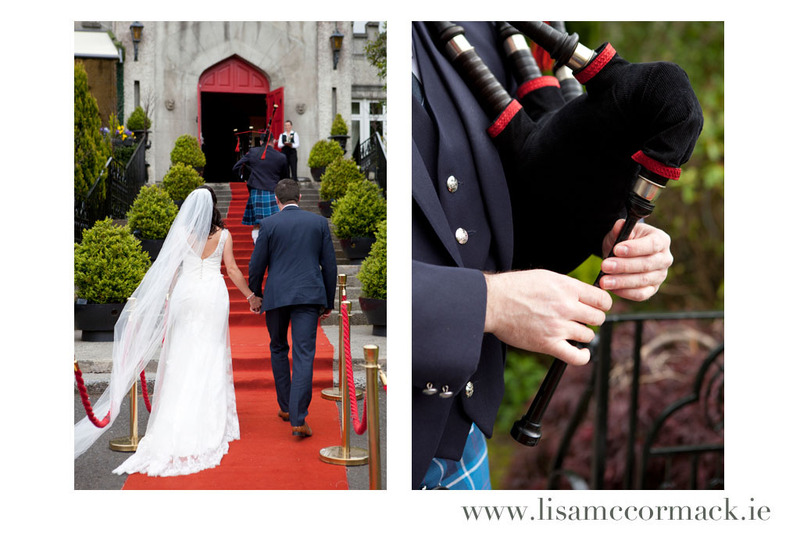 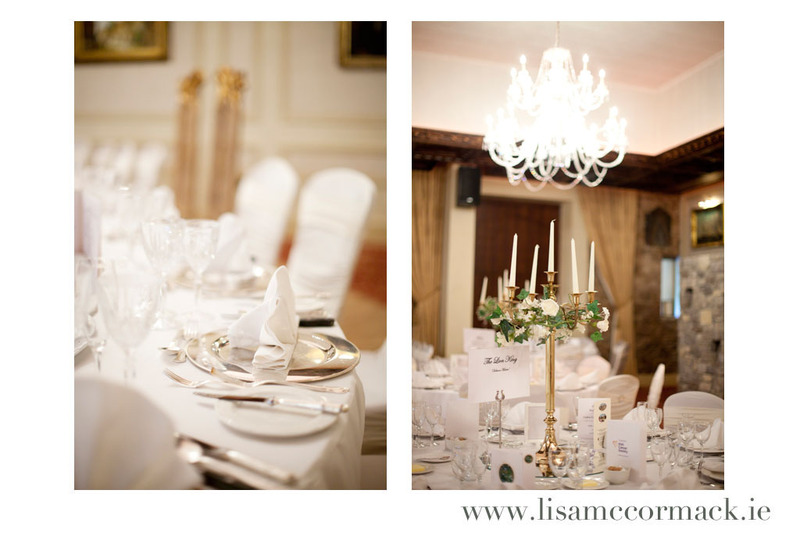 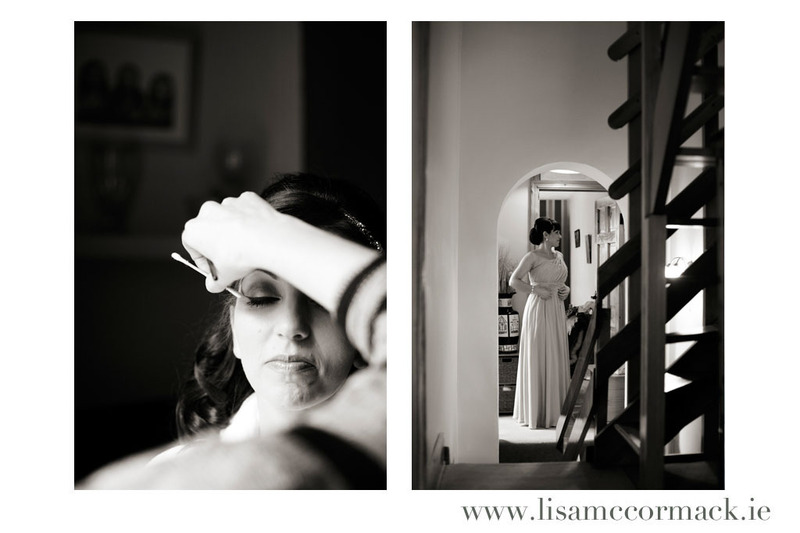 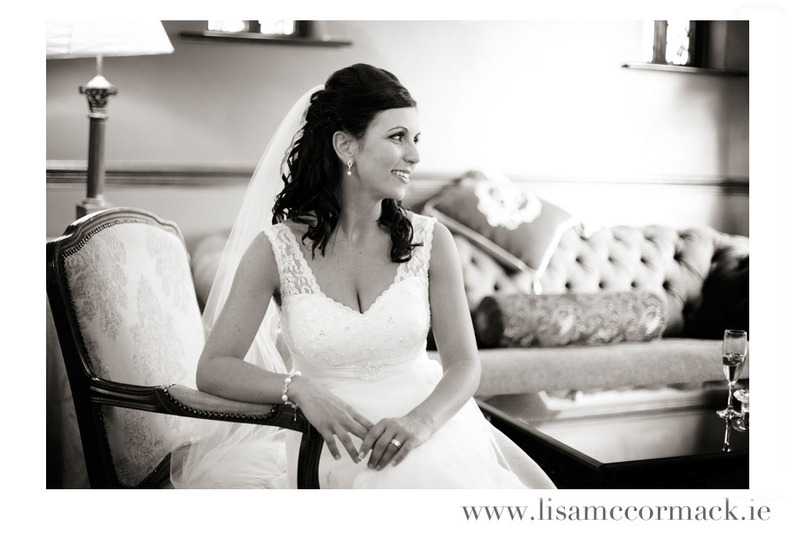 In those few words she managed to describe not only her family home but also the whole wedding ethos, as during the entire day everyone from the makeup artist at the start of the day to the banqueting staff at the castle at the end of the night were welcomed and made to feel part of the family. 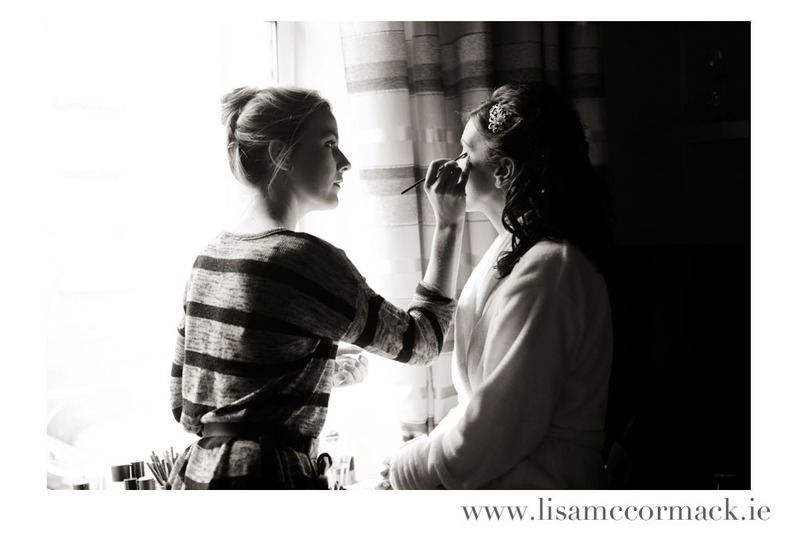 With six girls in the house (and if you include Vicki’s 10 week old niece, seven girls) you’d expect a bit of chaos but an early night the night before meant everyone was well rested and rearing to go. 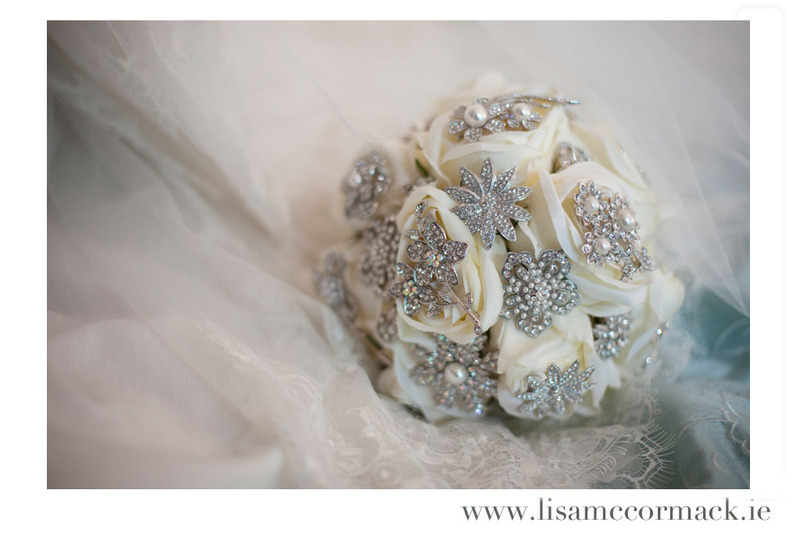 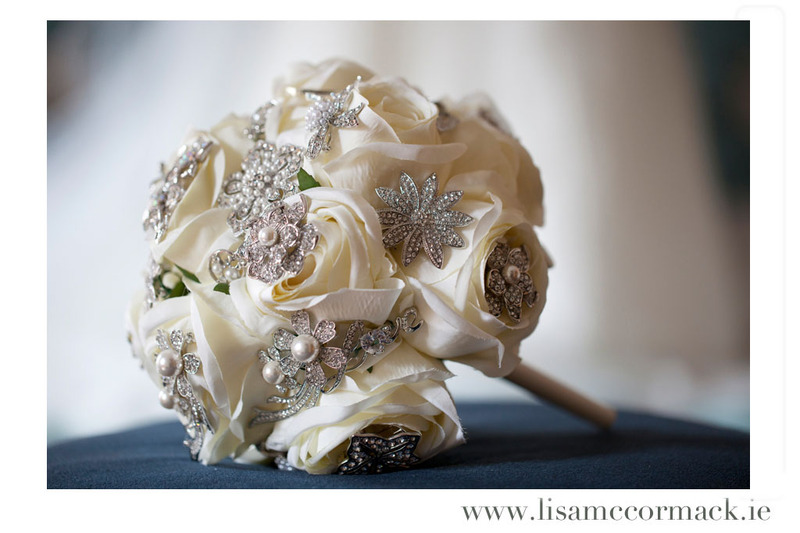 Caroline in the Flowerstudio had put together a beautiful brooch bouquet which had Vicki’s grannys brooch as her something old and her Edel Tuite dress made for a stunning something new so while she was enjoying being pampered and preened the boys were enjoying breakfast at a local cafe and a pint of the black stuff before heading over to St Patricks Cathedral for the ceremony with Fr Paddy, otherwise known as iPad Paddy! 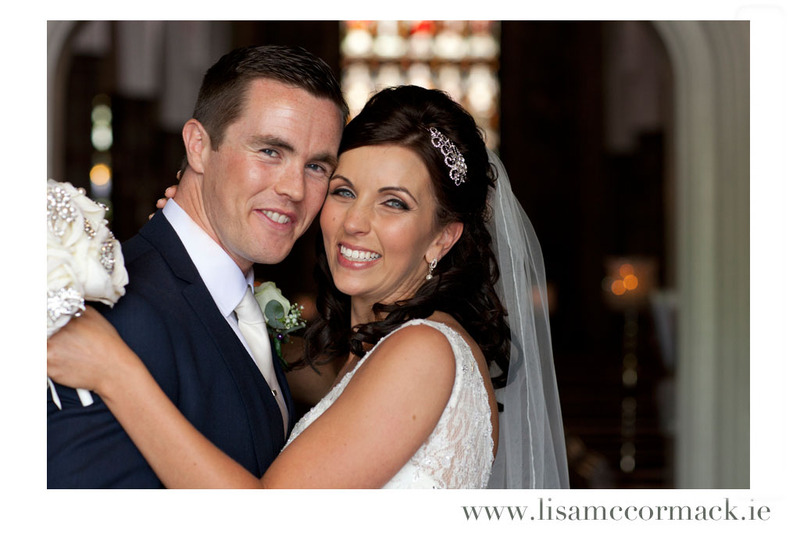 Family is obviously hugely important to both of them and they celebrated their day with all their nearest and dearest, including several bumps and babies, by this stage I think most of the bumps have made their grand arrival so already the family photos need updating! 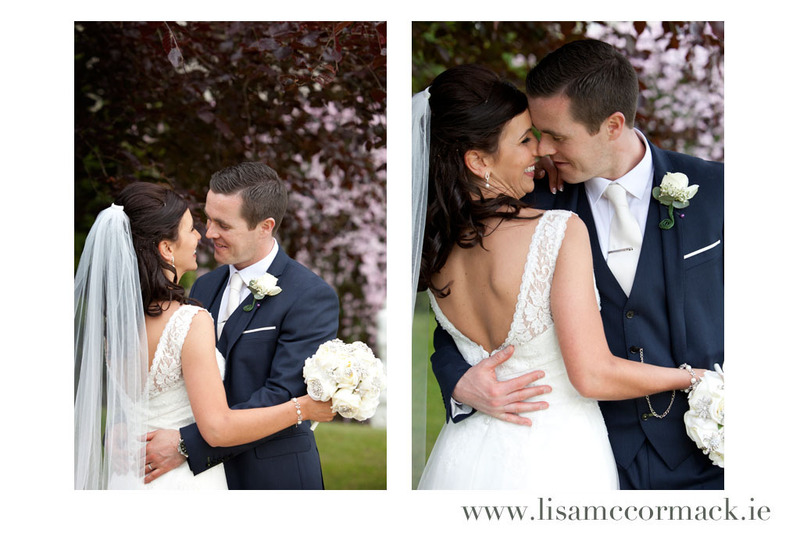 Thank you both for letting me share your precious day with you, it was a joy to shoot and lots of fun!